"As you live the Christian life, you may have periods of darkness or of doubt. You may encounter painful struggles and discouragement. But there will also be moments of exultation and glory. And most important of all, you will become free." There is joy and triumph in the Christian life. But the victory can come through struggle. John White knows this balance and gives us the encouragement to persevere. Here is White's classic guide to the basic areas of Christian living we wrestle with throughout our lives: faith, prayer, temptation, evangelism, guidance, Bible study, fellowship and work. White offers new Christians sound first steps and older Christians refreshing insights into the struggles and joys of freedom in Christ. 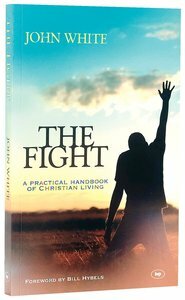 "If praying, studying the Bible, getting guidance, getting along with fellow Christians, witnessing, and the like are struggles for you, here's your book,"- Christianity Today.